High Gas Prices Got You Considering an EV? Consumer Reports has two Reviews for you! With gasoline prices skyrocketing, many metro Atlantans are considering an electric powered vehicle. If that’s you, then here are two recently released Consumer Reports reviews and ratings for Electric Powered Vehicles and Home Charging Units. With fewer moving parts, Consumer Reports is finding that the first generation of electric powered vehicles are very reliable. From my personal experience, my Chevrolet VOLT has been the most reliable and trouble free vehicles I’ve ever owned. Click here for the full article. If you purchase or lease an EV, you should seriously consider installing a residential charging unit and taking advantage of Georgia Power or other electricity provider’s PEV plan. I’ve saved almost $500 on my whole house electric bill including charging my VOLT over the last 18 months! According to Consumer Reports, power, portability, cord length, and remote access are important features that should influence EVowners’ decision about which home charging unit to buy. 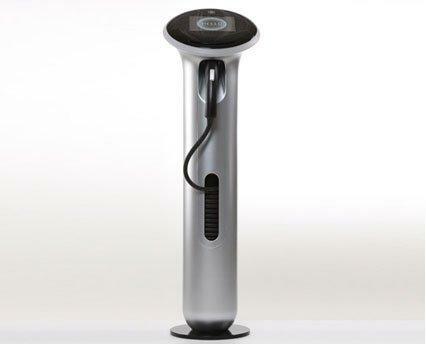 To see their comparison of 8 residential EV charging systems, click here. I recommend the 240V option due to faster charging times which is the real benefit of a home installed charger. But be aware that you may need to have an electrician install the power line and the unit and a permit may be required. Check each manufacturer or retailer’s website before you shop as they offer manufacturer rebates or store discounts from time to time. Categories: Electric Vehicles, EV Charging Stations, Home Charging Systems | Tags: 240V, Chevrolet VOLT, CleanCitiesGeorgia, Consumer Reports, electric vehicles, EV, GE Wattstation, Georgia Power, Home Charging Units, Nissan LEAF, Tesla Model S | Permalink.